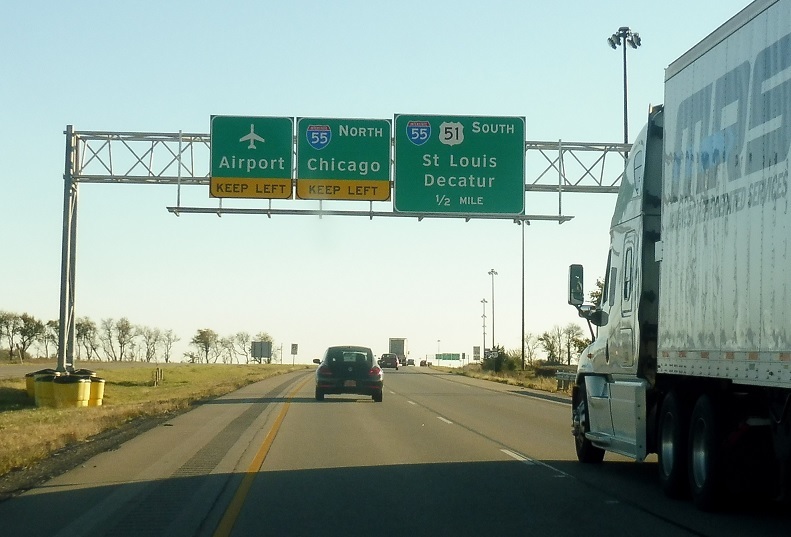 Just after the 51 Business split we’ll approach I-55. Reassurance shield after 51 Business. 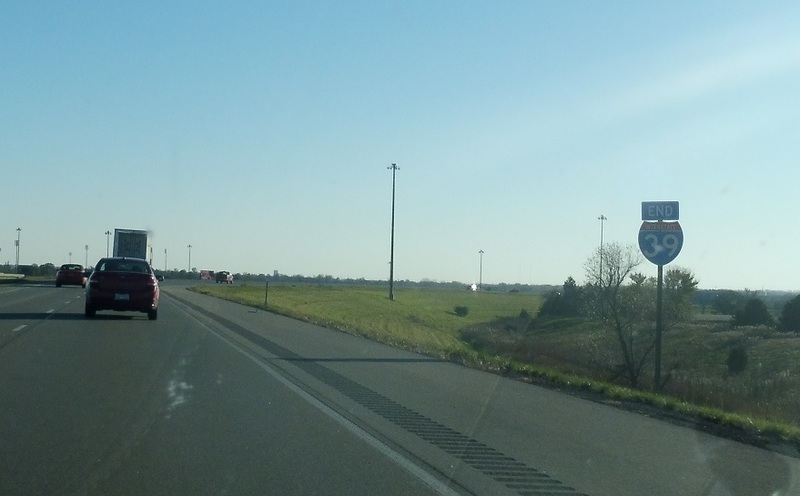 Keep right for I-55 and US 51 south to I-74. 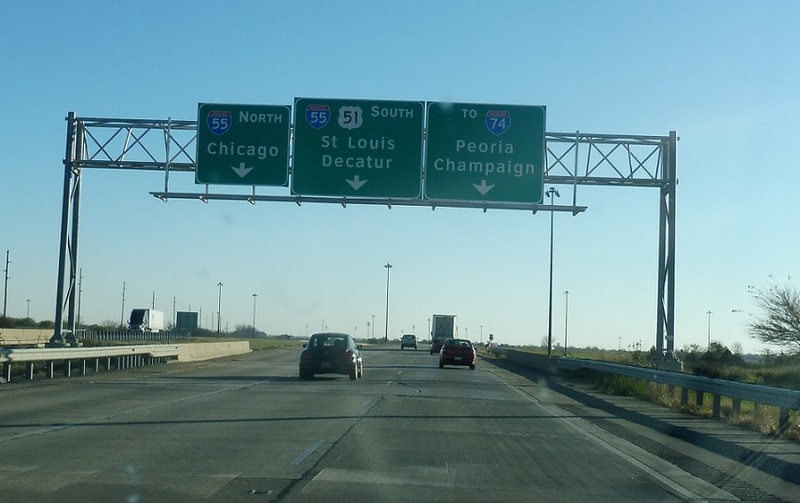 Exit left for I-55 north. 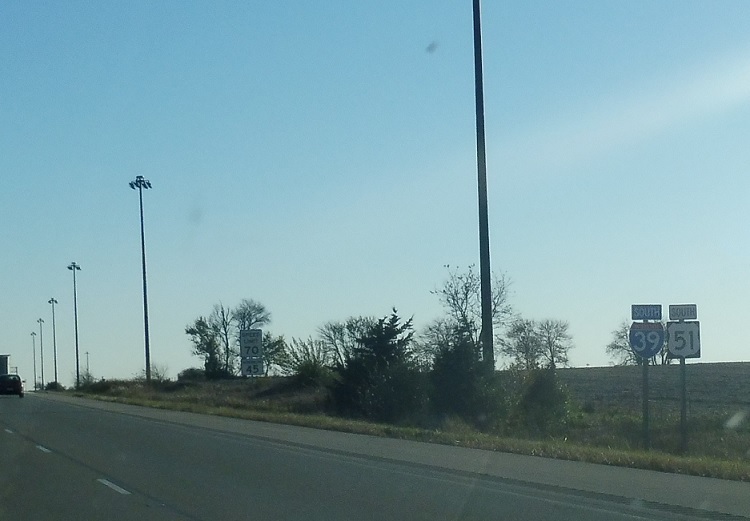 I-39 ends as we approach I-55.